Order official game videos from The Liberty Challenge. Each order comes with a USB drive of your game + Online Access to view the digital version. 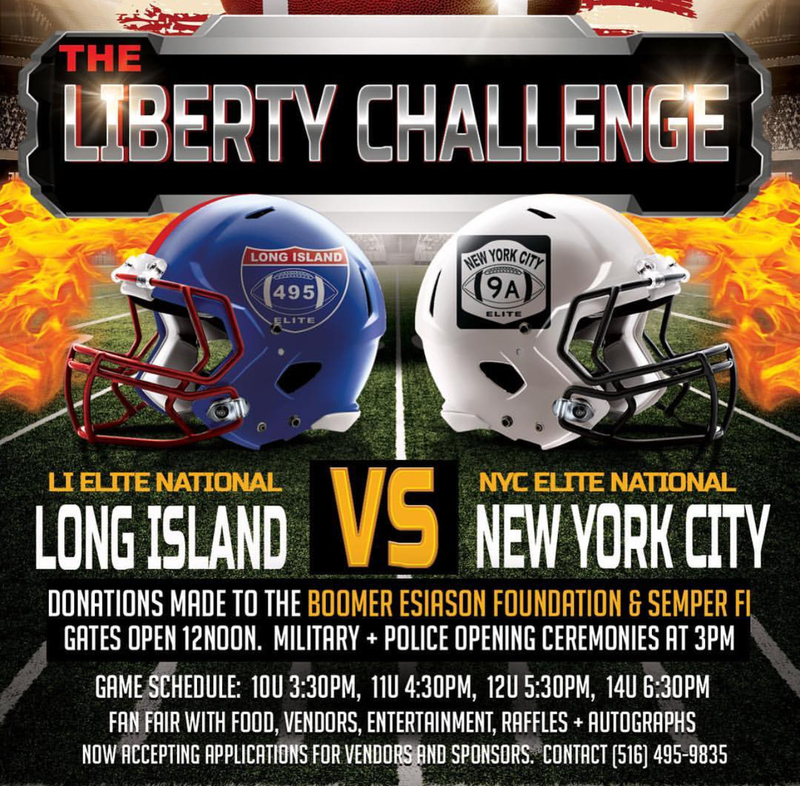 The Liberty Challenge is an annual youth football game held on Flag Day each year showcasing the best players in Long Island against the best of New York City. The event starts with a ceremony honoring the military and all men & women in uniform, which is then followed by the game.